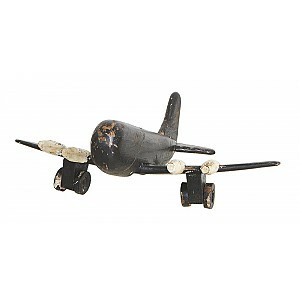 Here you can find vehicles and airplanes in wood and metal. The products in vintage and old fashioned style are nice to decorate with. We have wooden cars and metal / tin cars, airplanes and scooters etc. Black. About 31 x 36 x 14 cm.